Many industry observers would argue that the print distribution sector has changed dramatically over the past few years. And, to a certain extent, this is true. But at the same time, it's also true that many of the warnings that have been issued on this topic have been greatly overstated. This is perhaps most obvious in the case of transactional forms. The Print Services & Distribution Association and other industry publications have gotten into the habit of declaring that transactional forms are a dying, borderline-dead market segment, one which print distributors need to move away from as soon as possible if they want to remain viable. That's simply not true. In fact, with the right approach, print distributors can see tremendous benefits by focusing on this line of business. And what is the right approach? It may seem outlandish at first, but one of the best strategies requires you to think like a secret agent. What does it mean to be a print distribution secret agent? It all comes down to choosing and approaching your potential clients in the right way. A secret agent isn't a soldier – he needs to exercise more discretion. The same is true for any print distributor looking to capitalize on the market for transactional forms. It's true that this market is not what it once was, but there are still a great deal of potential openings out there for a savvy firm to take advantage of. Like a secret agent, these firms need to look for potential openings. In this case, such openings include smaller family-owned businesses which tend to rely on printed forms longer than bigger organizations. Restaurants and other food industry businesses represent another high-value target with better odds of success. Secret agents need to be fearless. They need to take chances and venture forth into unfamiliar territory. And the same is true of print distributors looking to take advantage of transactional form business opportunities. A lot of times, the companies that will most likely be in need of transactional form printing will be located somewhat off the beaten path. Instead of on Main Street, you'll find these firms on side streets, and perhaps in the less developed parts of town. Such businesses tend to be overlooked, which means they will be far more responsive to print distributors who are willing to make the effort to sell to them. These companies are also often more reliant on older technologies than other companies, which further increases the likelihood of transactional form success. Secret agents can't be successful by staying at home and sticking with the same-old, same-old. They need to get out there and focus on new, intriguing opportunities, even if they are intimidating. So do print distributors with a focus on transactional forms. Secret agents like James Bond are known for many things. Near the top of that list: their ability to charm. A successful undercover operative will need to make a positive impression on whoever he comes across. 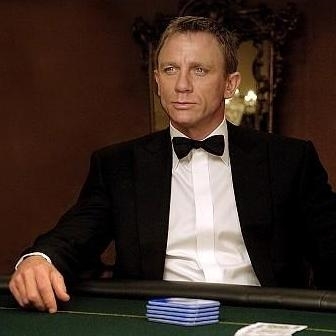 A suave, charismatic secret agent will have a much greater chance of achieving success than an agent who fails to put forth the time and effort to win others to his side. You should have the same attitude when seeking out new business opportunities. As mentioned above, many of the firms that are the most likely to be interested in transactional form printing services will be in under-served locations or industries, and they also tend to be smaller and family-owned. All of this makes such companies more appreciative of service providers and salespeople that are willing to meet them face-to-face, learn about their unique needs and develop personal relationships that will last. This means that print distributors need to be willing to travel to see their clients in person on a recurring basis – not just to make the initial sale, but to make sure that the business relationship remains sound over time. In that sense, it's a lot like a secret agent meeting regularly with an informant or other ally who's putting their trust in the operative. The least the agent can do in that case is demonstrate commitment and develop a positive relationship. As much as secret agents need to charm and win over their allies, they also need to be careful to avoid their enemies. Anyone who is hostile to the agent, his mission or his organization should be circumvented at all costs. For print distributors, the "enemies" in this case would be marketers and purchasing personnel. While they are obviously not truly enemies, these individuals will often serve as obstacles to your goal of finding new clients for transactional form business. Navigating around these personnel and instead focusing on firms without such employees will yield much better results.